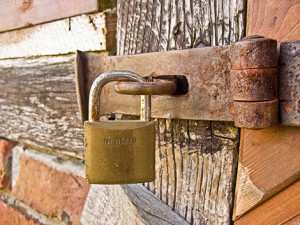 A California resident filed an action on behalf of the general public for consumer fraud under the state’s notorious Unfair Competition Law, against national lock manufacturer Kwikset for labeling locks “Made in the U.S.A.,” because the locks contained a few screws or pins made in Taiwan or that were partially assembled in Mexico. The trial court found in favor of the plaintiff, ordering the company to stop selling the locksets. The court did not provide restitution to consumers, but did order the company to pay the plaintiffs’ attorneys $3 million in fees. As the appeals continued, Californians passed Proposition 64 in response to abusive lawsuits such as the Kwikset case, which was intended to ensure that only those who experience an actual loss of money or property file such claims. Nevertheless, after eleven years of litigation, the California Supreme Court upheld the ruling in a 5-2 decision, finding that Californians can sue even when a product is not overpriced or defective.